The US Medical Licensing Exam (USMLE) is one of the toughest examinations in existence today. About 4% of students in these programs fail the USMLE Part 1 on their first attempt, and while this can be discouraging, it is certainly not the end of the line. It is possible to retake and pass this examination if you do not allow yourself to be overcome with disappointment, work hard, and try again. 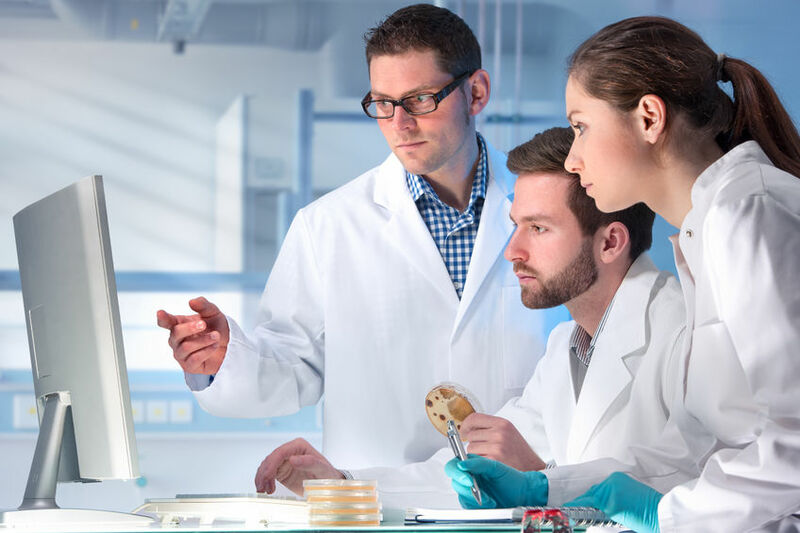 If you failed your first attempt at the USMLE Step 1 examination, which is designed to test your knowledge of the material learned in the first two years of medical school, it is vital that you work with faculty and other education specialists to figure out where you need help. Then, once you have this information, you can utilize various study methods to better familiarize yourself with the content. Through diligence and the help of those who want to see you succeed, it is possible to obtain a passing score on your second attempt. Many students who do not pass the exam on the first attempt feel a great deal of shame, particularly when they are the only student among a group of peers to score poorly. However, it is worth noting that students are not ostracized from their study groups or peers in these cases. In fact, your peers who have passed the exam will likely extend their knowledge and tips to help you succeed on your next attempt. Focus on learning what you need to know to provide the best patient outcomes, and never let a perceived social stigma bring you down. Often, students who do not pass the USMLE Step 1 on the first attempt are those who utilize only one or two different study methods, which can sometimes prove detrimental. Different people learn in different ways, and while some can learn everything they need to know simply by reading the material, others need to repeat it, practice it, and put it to use. Try mock exams, online study tools, flash cards, study groups, and more to give yourself access to the material from every possible angle. Make note of which method seems to provide you with the best comprehension and spend more time with it. Finally, rather than feeling discouraged, it’s important to remember that you are not the only student who received a bad USMLE Step 1 grade. A study published in Academic Medicine looked at 129,000 students who took the exam for the first time between the years of 1993 and 2000. Though some 6% failed on the first attempt, 90% of those students ultimately graduated medical school and obtained their licensure. This means that only a very, very small percentage of students who do not initially pass the USMLE Part 1 will ultimately fail to graduate medical school. A bad grade on your first attempt at the USMLE Part 1 can certainly be frustrating, especially if you worked hard and studied. However, there are things you can do to improve your chances of passing on the second attempt – and more than 90% of students in your position do. Utilize these tips, work hard, and focus on the ultimate goal, which is providing the best possible patient care. Medical school is one of the most challenging things you will ever do in your life, and the exams that prove your competency can be difficult, as well. In order to practice, you must pass these exams, and in order to pass, you must study. Here are some tips for medical exam preparation that other students have used to succeed in their careers. Medical school is exhausting. Between your classroom lectures, labs, and clinicals, it may feel as if you get very little time to study or even sleep. Because of this, it is vital that you start preparing for exams very early on in your education. Create a timeline that includes specific timelines for each individual topic, study all throughout each semester, and be sure to include lots of time for reviewing older material, too. What’s more, don’t overdo it – be sure to take some time for yourself, as well. 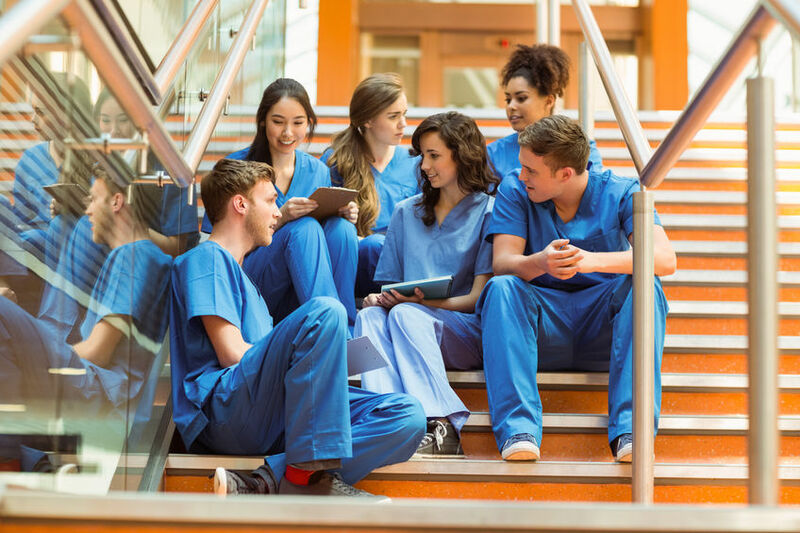 Though many medical students on TV are portrayed studying anywhere they can, it is truly possible to find a location that works best for you. Whether it’s a library, a park somewhere on campus, or even the solitude of your dorm or apartment, figure out where you seem to learn the best and make that your number one spot. Studying in groups is also beneficial as everyone can share their strengths and get some help with their weaknesses. However, make sure your study group is dedicated to learning rather than socializing if you want to make your study time matter. Taking practice examinations early on will help you get more comfortable with the format of your tests, too. There are numerous online programs and question banks out there, including CanadaQBank, which can offer you this opportunity. Look for options that have features that work in your benefit, such as different test modes, the ability to take notes, and the ability to track your progress as you go. Not only will you familiarize yourself with the exam, but you will also be able to pinpoint your strengths and weaknesses, then alter your study plan around them. Numerous studies have shown that students who do not actively take care of their health tend to do more poorly on examinations. To retain information, and to make logical decisions, you need to be hydrated, nourished, and rested. Do your very best to get at least seven hours of sleep each night, track your water intake, and eat three balanced meals each day. Though it can be difficult at times, especially when you are busy, this focus on yourself will eventually pay off. Preparing for medical exams is not something you should start a few weeks away from the exam date. Start studying early on, in the right places, and with the right people. Be sure to test yourself frequently, and above all else, take care of your health. These things are all important to comprehension and learning, which will help you succeed throughout your medical career. The MCCQE examination, or the Medical Council of Canada Qualifying Examination, is required for becoming a Licentiate of the Medical Council of Canada, or LMCC. It has a long and interesting history, and it has been updated numerous times over its many years. Today, many believe that the MCCQE Part II examination is no longer relevant and could be replaced with other material. Here’s what you should know about this exam. The Medical Council of Canada formed in 1912 and provided with a legislated mandate by the country’s government to ensure patients that their physicians were held to consistent and demanding standards. Essentially, the group’s goal was to create a set of standards that would ensure quality care. Soon after, the Council created the LMCC designation to ensure that future physicians received a higher quality education to promote a safer medical industry. The LMCC designation has changed throughout the history of the MCCQE. Before 1954, students who were awarded the designation after passing the MCCQE exam received a license to practice medicine as a doctor in their respective provinces. However, in 1954, things changed; the LMCC was only awarded after students completed the MCCQE as well as another year of training. Over time, this change led to the rotating internship year, and once a student completed it, he or she received a General Practitioner (GP) license. Several decades later, the licensing bodies specific to individual provinces began to see the need for more stringent training. As a result, they started moving toward a new set of requirements. These included the same requirements as before but added on a minimum of two years postgraduate training as well as certification through one of the country’s colleges. It was after these changes that the Council introduced the MCCQE Part 2, a simulated exam that students could only take after a one-year postgraduate residency. Is the MCCQE Part 2 Still Relevant? Though there is little argument that the MCCQE Part 2 was necessary at the time of its introduction, there are many who believe that later changes in the licensing procedures rendered it relatively useless. Because all new doctors (of any kind) in Canada must get further certification through a national college, it is virtually impossible to practice as even a General Practitioner with only a successful MCCQE Part 2 examination. As such, many believe should no longer be part of the requirements, especially since aspiring doctors must participate in two years of postgraduate residency, which is far superior to the simulated cases presented by the examination. The MCCQE examination and the requirements for becoming a physician in Canada have evolved over the course of many years, and there is plenty of evidence to suggest that it will continue to evolve in the future, as well. 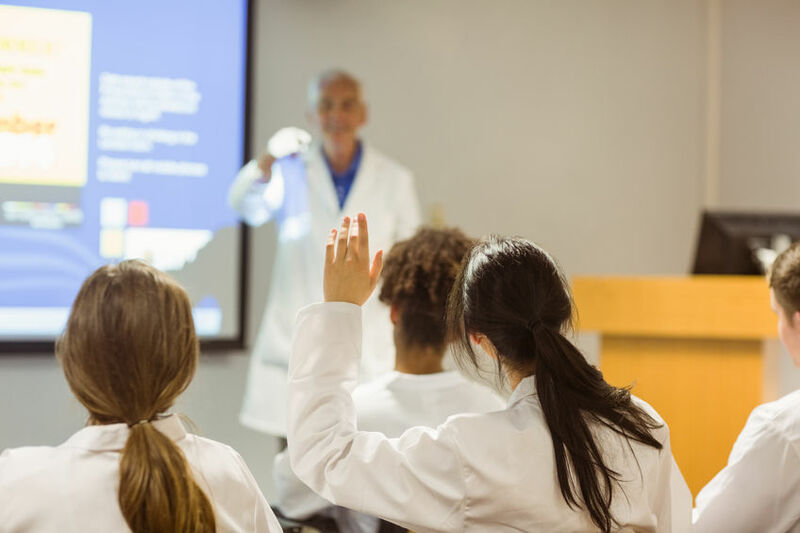 The MCCQE is a topic of great debate, and while aspiring doctors realize that their education and training must be thorough, many believe the addition of the MCCQE Part 2 is redundant and unnecessary. Preparing for the USMLE Step 2 is a daunting task. There are so many questions in so many categories, it can be hard to know where to even start. Each scenario is different from the next, and since you can’t guess which questions you’ll be asked, it can be nerve-wracking to say the least. Here are some examples of particularly difficult USMLE Step 2 questions to study alone or with a group. Which Screening Would You Recommend? In this scenario, a man who is 48 years old visits his doctor for a routine checkup. He appears healthy and has no complaints. He weighs 203 pounds, is 5’ 8” tall, and has a BMI of 29. His blood pressure is 145/82, and his pulse is 92bpm. Upon questioning, the patient reports he does not drink alcohol, smoke cigarettes, or use any drugs, and he has had no chest pains, palpitations, or shortness of breath. The physician cannot find any abnormalities in this man’s exam, and his medical history is unremarkable. Blood tests reveal normal serum electrolytes, normal blood count, and normal cholesterol. Which screening test would you recommend for this patient? Why Does This Patient Have Diarrhea and Fatigue? What is this patient’s most likely diagnosis? Why Is This Patient Losing Weight and In Pain? Finally, in this scenario, an HIV-positive woman who is 45 years old comes to her doctor because she has been losing weight for a month, is experiencing pain when she swallows, and has substernal chest pain. She reports she is taking no medications. Her temperature is roughly 100 degrees, and her T-cell count is 41/mm3. An upper endoscopy is performed, and it reveals a large and deep ulcer in the distal esophagus as well as significant inflammation. A biopsy shows inflammation and small blood vessel endothelial cells along with large and smudged eosinophilic nuclei. Why is this patient experiencing pain and weight loss? These are some of the toughest questions asked on the USMLE Step 2, and they provide a good indication of other questions you may encounter. The ability to accurately recommend treatments and diagnose these conditions will serve you well when it is time to sit for the real exam. 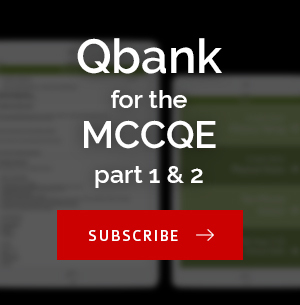 What’s Included in CanadaQBank’s MCCQE Part 2 Question Bank? With so many study tools available to students who are planning to take the MCCQE Part 2 exam, it can be difficult to choose the right software. CanadaQBank provides a complete online question bank that makes it easy for you to study in a true-to-life environment, wherever you may be. Here’s what you’ll get when you subscribe. The MCCQE Part 2 is based on unique cases in which you’ll provide diagnoses, treatments, and medical advice for simulated illnesses and injuries. CanadaQBank provides 153 of the best MCCQE Part 2 cases, 74 Couplet Station cases, and 79 10-minute cases, all of which make up the second part of the Medical Council of Canada Qualifying Examination. This diverse selection of cases provides a very broad range of simulations, which allows you to put your knowledge to the test. Studying the cases frequently can improve your performance and knowledge retention when your test day arrives. Aside from simply providing cases which simulate those frequently found in the MCCQE Part 2, you’ll also receive lists and helpful tips. For example, the five-minute clinical encounters and 10-minute station cases come with lists of questions that you’ll need to ask while you’re taking a medical history, and they also list the things you should check during your examination. You’ll also have access to the questions your examiner is likely to ask during each case, which can help you prepare for these questions and others. All of this is presented to you in a true-to-life simulation, which can help you feel more at ease when your testing date arrives. Unlike many other software providers that may update their cases and questions only once per year, CanadaQBank is quite vigilant in ensuring that their cases and questions are kept up-to-date. For this reason, CanadaQBank’s software updates frequently; you’ll never be without a piece of information that may be crucial to passing your examination. Everything is revised frequently, too, which means you’ll be able to view expert feedback from the most recent MCCQE Part 2 examinations. CanadaQBank allows students to choose subscription lengths that best fit their unique budgets. There are options for one, two, three, six, nine, and 12-month subscriptions, and a year-long subscription to CanadaQBank costs less than a single new medical textbook, making it a great value. 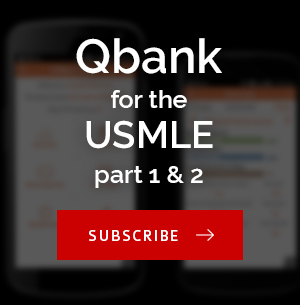 Students who purchase an MMCQE Part 2 subscription will also receive 41 bonus USMLE Step 2 CS cases, and CanadaQBank is so confident that you’ll pass your examination the first time you take it, they’ll give you a free three-month subscription if you don’t. Thousands of doctors in Canada have used CanadaQBank to study and prepare for the most challenging and rigorous examinations of their lives. The company is constantly reviewing and expanding its software to provide students with the most true-to-life and helpful scenarios, cases, and encounters possible. These things will allow you to arrive for your examination feeling confident in your knowledge, which is one of the biggest factors in passing.